Months have passed since hundreds of thousands of candle-holders declared victory for people power after months of protests to oust President Park Geun-hye in Seoul’s Gwanghwamun Square. The air was icy, but what Choi Gonne remembers from the demonstrations is neither hatred nor rage. What she saw were people united, regardless of age or gender, bundled up in coats, singing and chanting tunes calling for Park’s ouster, street vendors selling mattresses and hot snacks and young students marching in their uniforms. “The melody of ‘Highlander’ was created about three years ago, but I couldn’t settle on its lyrics. After the candlelight protest, I could finally finish the song. The event really touched my heart and inspired me,” said Choi during a recent interview with The Korea Herald in Seoul. 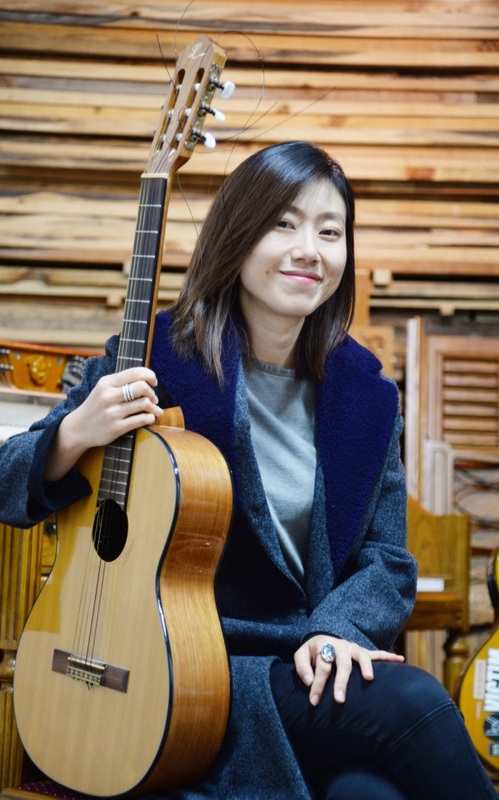 Although the song doesn’t specifically describe the event lyrically, Choi said she tries to tell her foreign friends that the song, written in English, is about that monumental socio-political event in Korea. 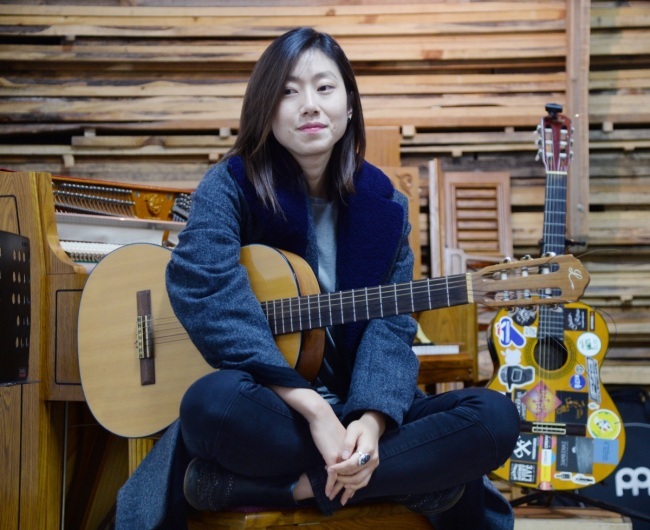 The singer-songwriter’s fifth EP “Nomad Syndrome” also features track “Gaya,” which Choi said was also a fruition of the same event. The lyrics came to her mind while watching Park’s trial on TV, which Choi thought was a result of continuous lying and deceiving. One’s lies will be eventually exposed through the mouths of people, leading to one’s destruction, wrote Choi in the lyrics. While Choi’s name may be new to the K-pop generation, she is an international artist. She performed at England’s Glastonbury Festival in 2014 and 2015 and won Japan’s Fuji TV’s “Asia Versus” in 2013. Choi also toured Europe in 2012 and headlined various music festivals in Korea. Choi‘s voice drips with soul that is rich, raw and arcane. Listening to her reminds one of the vast plateau and windy terrain of Mongolia, the most unpolished but natural place on earth. She is also known for writing poetic lyrics mostly in English, the reason why her music sounds like a mysterious blend of the East and the West. Choi said she visited ethnic Koreans in Russia before releasing the album. “While touring cities around the world, I came to question my ‘roots’ in this diverse world. In the process of finding my roots, I visited ethnic Koreans in Russia and I realized that one’s roots are not about where people come from. It is more about if they have that feeling of spiritual affiliation to the land,” she said. Asked if she plans to live abroad in the future for her international career, Choi replied her roots belonged here in Korea. But still, she confessed the local music industry is not favorable to indie musicians like her. “I think there are fewer people who can accept musical variety in Korea compared to Europe or Japan. Here, it’s all about the money code, the reason why songs are repeated and musicians don’t try something new,” she said.